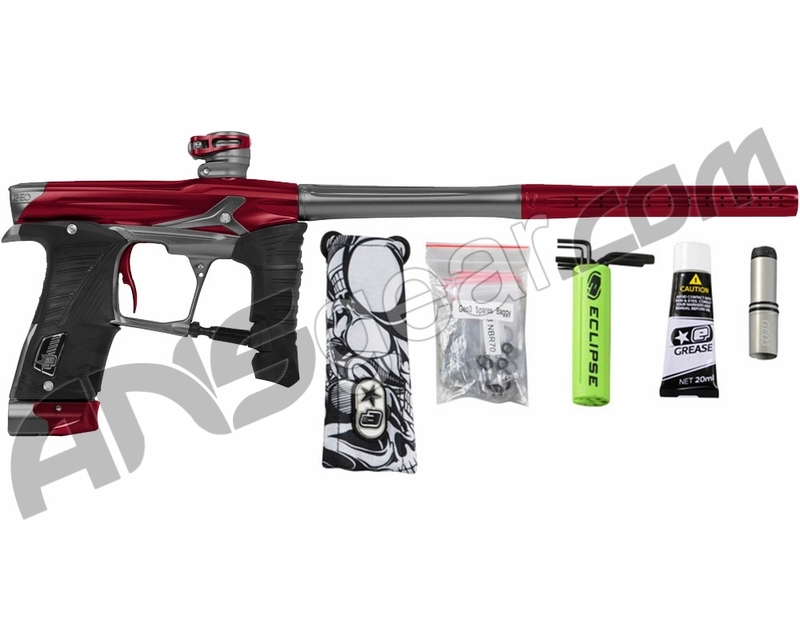 Check out the all new Planet Eclipse Geo 3.5 Series paintball gun. Packed with a bunch of new technology and features, this gun will be taking over at the paintball fields. With a starting retail price of $1449, the advantages over the previous Geo 3.1 series gun. There have been few upgrades to a markers drivetrain that have yielded such significant performance improvements as the IVCore brought to the Geo platform in GSL. The IVCore brought about not only a significant uplift in outright efficiency to the Geo, but also noted improvements in both feel and sound signature. The synthesis of the Geo3.1's style, aesthetics and ergonomics and the GSL's implementation of the IVCore drivetrain. Sleek and comfortable with the benefit of increased efficiency, quieter sound signature, softer shot and true pop-up tool-less bolt removal in one streamlined package. The Geo platform has gained huge popularity amongst tournament and woodsball players alike. The Geo3.5 will help to press home its advantage to Speedball players with its minuscule amount of barrel rise even during ramping and its exceptional efficiency that gives them the ability to carry enough paint for the longest of matches or points. In the woods, the light weight of the Geo combines with its now even quieter sound signature to make it the perfect companion for those extended periods on the field and for taking those shots when you don’t want to give your position away. Internally and externally the Geo 3.5 utilizes the latest technologies developed by our engineers. The Electronics are fully adjustable via the on-board backlit LCD display and graphical user interface. Or if you prefer, with the optional ePortal kit you can connect the Geo3.5 to your laptop or home PC to adjust parameters, download latest versions of firmware or customize the graphics on the display. Mechanically, the Geo3.5 uses a Custom MAC solenoid valve system that drives the IVCore and controls the filling of the firing chamber. As with all other Geo3 versions the speed of the bolt is externally adjustable via a dial on the trigger guard. Selecting a slower bolt speed reduces shot signature and recoil resulting in a soft, quiet shot; where a higher bolt speed will allow devastating rates of fire. The Geo3.5 offers both these options and an infinite range between. In fact the Geo3.5 is all about giving the user control. For example, there are magnetic and leaf spring trigger return mechanisms as well as micro switch and optical trigger sensing circuits to choose from. Both an all-metal multi-ported bolt and the latest full rubber-tipped anti-rollback bolt are included with the marker. With so many choices available as standard the user can quickly and easily tailor the feel and performance of the Geo3.5 to their specific requirements and preferences. The Geo3.5 continues the legacy of the AT Pipe system. First designed and implemented on the EgoLV1 and later ported over to the Geo line on the Geo3.1, the AT Pipe system removes the AT Pipe need for macroline from the POPS ASA to the inline regulator. Instead air is transferred via the AT Pipe from the frame to the new SL4 inline regulator in a way that allows the marker to still be quickly and easily stripped, cleaned and maintained. Of course every single Geo3.5 is constructed using the very best materials possible and meticulously hand built whilst undergoing rigorous inspection and testing at every stage. We do everything possible to ensure that each marker that leaves the facility is as close to perfection as possible. But all of that is mere detail. It’s on the field where the Geo3.5 was designed to deliver. Not just a bunch of words on a spec sheet but a tool built to deliver devastating performance. A marker built to win.